Even before the advent of the web browser, flowers were embracing a form of electronic commerce. The traditional relay networks such as Interflora and FTD were allowing their members to take and receive orders electronically. Initially this was through facsimile machines (fax machines) then later as close electronic networks were established that had a “hub to spoke” architecture with dedicated installable applications on computers. This has given way to the explosion of easy to use and deploy ecommerce applications that run fully within a web browser regardless of whether the florist is on a desktop computer or a mobile device. With the explosion in the Internet, ecommerce was not just for the big players but is in the grasp of every type of florist! But what does ecommerce florist actually mean? For a start it means that a customer can go to the florist website, search and view floral arrangements for sale and then purchase the flowers online. The customer should be able to complete the transaction and pay for the order online. 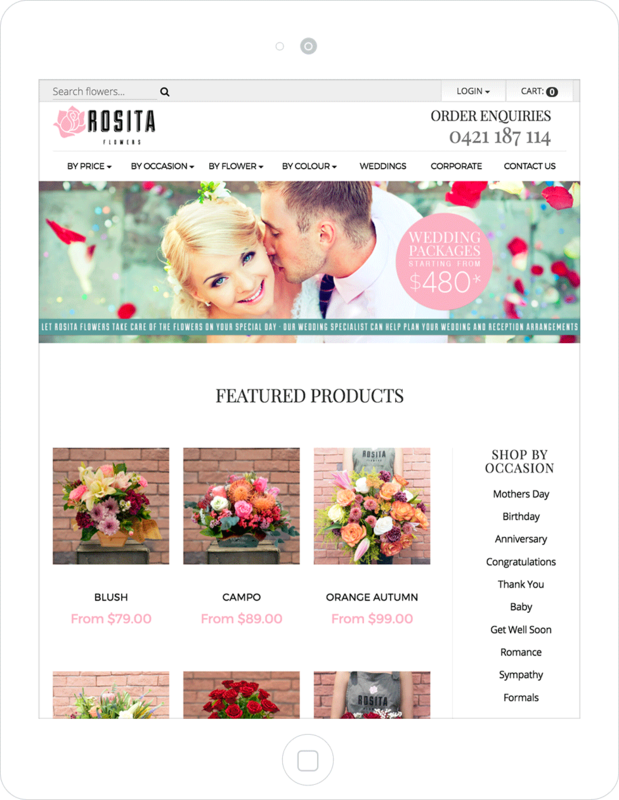 What are the primary characteristics of an ecommerce florist? How can Flower Store In a Box help a florist be an ecommerce florist? Flower Store In a Box is a unique ecommerce website solution that has been built for ecommerce florists. It’s easy to use and feature packed with all the exciting features any florist requires to sell flowers online. And so very much more, read about the features here. We have over 300 satisfied customers world wide with a 5 star google rating! Read about some of our success stories here. If you want to beat the Order Gatherers and reclaim your customers the first thing you need to do is have an excellent website that works the way it should and the way your customers expect it to.